When it comes to car seat safety, Maxi Cosi wrote the book. They’re here to explain to new parents the ins and outs of how to secure your car seat, and the advantages and disadvantages of ISOFIX v car seat belts. An ISOFIX child seat is ‘plugged’ into corresponding fitting points in your car, so there is no need to use the car’s seat belts to secure it. ISOFIX is the safest way to secure your chid’s car seat. Two ISOFIX connectors (metal bars) which fit securely on the anchor points (metal clips) at the base of the vehicle seat. A top tether or support leg. What is a top tether? A tether (aka top tether, top tether strap, top strap) is a long piece of seat belt material that has a clip on the end located at the top back of a convertible or combination carseat. You’ll find the top tether anchor situated on the boot floor or on the back of the seat bench. In new cars the top tether logo will point you in the direction of where this will be. The top of the child’s car seat has a hook on the end that connects to the tether anchor in the vehicle. This secures the third ISOFIX point. A support leg is a good alternative to the top tether. It is mainly used for group 0+ and I child seats, both in rear-facing and forward-facing versions. The support leg extends until it rests securely on the floor of the vehicle, between the back and front seats (if installed on rear seat). Top tip: If you’re using a support leg, check whether the floor of the car has a storage compartment that might render the leg insecure. If it has, seek advice to ensure proper installation. ISOFIX minimises the risk of incorrect installation. Seat belts are often installed and used incorrectly in conjunction with a car seat. An ISOFIX base provides a solid, permanent connection between the car seat and the car body which is much safer. An ISOFIX installed chid seat is scientifically proven to be outstandingly safe in tests. If you know you’ll need to use the seat belt method of securing your car seat, when purchasing, choose a car seat that shows you exactly how the seat belt is positioned. All Maxi-Cosi seats display a clear belt routing. If in doubt, check the manual. when installed properly, they’re safe. 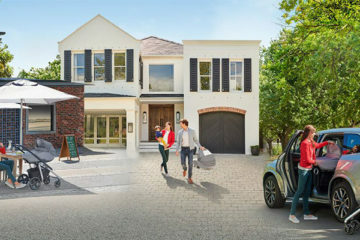 flexibility – it’s easy to switch your car seat between cars (It’s worth remembering that ISOFIX car seats and bases are super-easy to move from car to car). 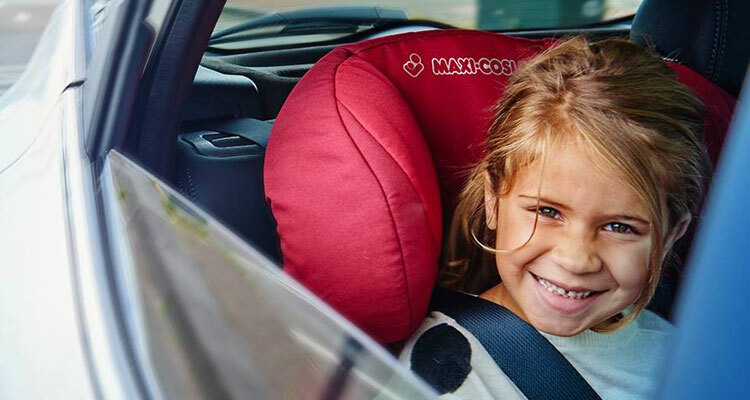 Maxi Cosi claim that a huge 8 out of 10 parents install their car seat incorrectly when using a seat belt. They take longer to install, and when installed incorrectly, reduce the protection offered to your child in the event of a crash. There have been many safety tests taken to prove that ISOFIX is extremely safe, with risk of incorrect installation low. Most ISOFIX base units now display indicators that flip red to green to confirm correct installation. As a result, 94% of parents manage to use ISOFIX in their cars correctly. ISOFIX is fast and easy to install. With one click, you can attach the car seat securely to the car. Many ISOFIX bases offer support legs and/or top tether straps which further increases stability. You can permanently secure a booster seat using ISOFIX. You’ll need to check if your car has an ISOFIX fitting – older cars may not. There are some ISOFIX seats on the market that do not offer installation via a seat belt, reducing flexibility. ISOFIX car seats are generally more expensive than belt-based seats. ISOFIX seats often weigh more than belt-based seats.